The ever-increasing importance of the market of portable devices is promoting the migration of technologies originally developed for the fixed network to the mobile network. 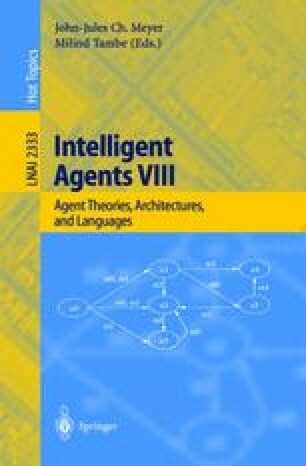 This paper describes the general aim and the current results of a European-scale project intended to provide the enabling technology for deploying multi-agent systems across fixed and mobile networks. The LEAP project achieves its goal realising a FIPA platform that can be deployed seamlessly on any Java-enabled device with sufficient resources and with a wired or wireless connection. Such a platform is implemented as a new kernel for JADE to ease the migration of legacy agents to the mobile network and it exploits a modular design to scale its functionality with the capabilities of the device. FIPA “FIPA 2000 Specifications”, available at http://www.fipa.org. FIPA “FIPA Abstract Architecture Specification”, available at http://www.fipa.org. FIPA “FIPA Agent Management Specification”, available at http://www.fipa.org. FIPA “FIPA Wireless Message Transport Protocol Specification”, available at http://www.fipa.org. F. G. McCabe, “April — An Agent Programming Language for the Internet”, available at http://www.nar.fujitsulabs.com. S. Poslad, P. Buckle and R. Hadingham, “The FIPA-OS Agent Platform: Open Source for Open Standards”, available at http://fipa-os.sourceforge.net. Sun Microsystems, “Java 2 Platform Micro Edition (J2ME) Technology for Creating Mobile Devices”, available at http://www.java.sun.com.